It seems like an electric car startup surfaces every other day, but there's reason to take Rivian a bit more seriously than most. 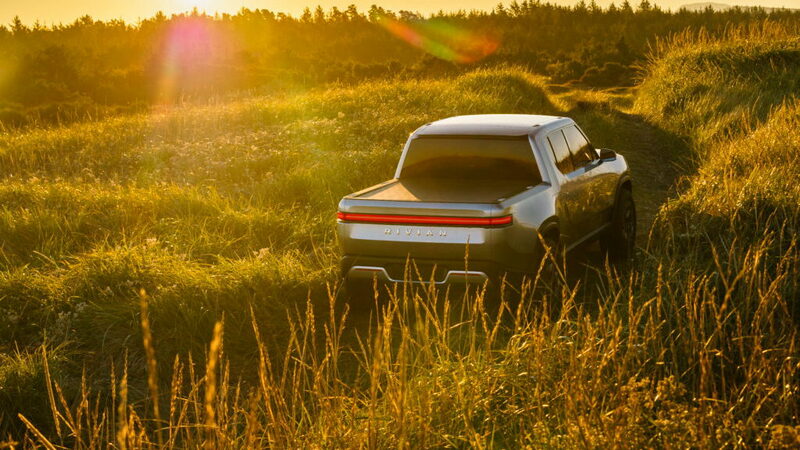 Instead of making bold promises that get pushed back or completely fail, Rivian has been working diligently in the background on its electric car plans for several years. The company even has a production site in the form of the old Mitsubishi plant in Normal, Illinois. 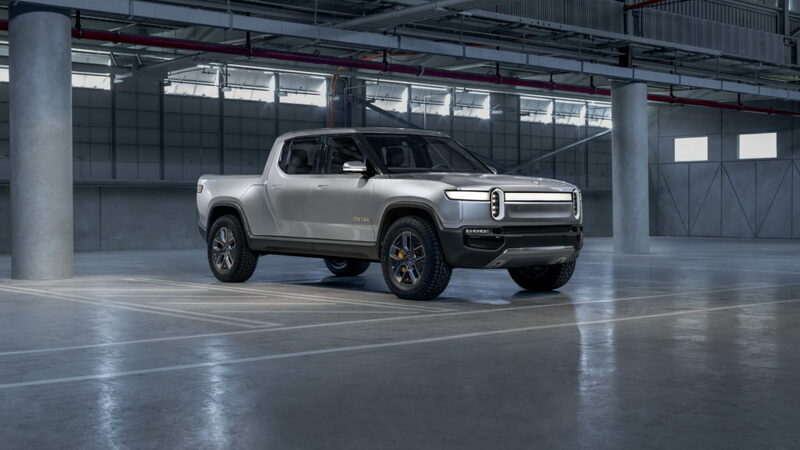 Now Rivian is on the verge of revealing its first two products: the R1T pickup truck and related R1S SUV. Both vehicles debut this week at the 2018 Los Angeles auto show but we already have our first look at the R1T. At 215.6 inches long, the R1T is similar in size to current mid-size trucks but its 79.3-inch width and 135.8-inch wheelbase are closer to measurements of full-size offerings. Factor in the 55-inch bed length—short, even by mid-size truck standards—and the result appears to be a very spacious passenger cabin. Battery options at launch will be 135- and 180-kilowatt-hour capacities, with four electric motors providing a combined 750 horsepower and 820 pound-feet of torque with either option. Just as with Tesla, a lower-priced option with a 105-kwh battery and 402-hp output will be offered down the line. Rivian said the wait will be about 12 months after the first models are delivered. Rivian's range estimates are more than 300 miles for the 135-kwh battery, more than 400 miles for the 180-kwh option, and 230 miles for the planned 105-kwh option. The company is yet to announce whether it has a supplier for its batteries or will manufacture them in-house. Other performance claims include 0-60 mph times approaching the 3.0-second mark, a payload of 1,763 pounds, and a towing capacity of just over 7,700 pounds. The R1T features a crew cab and seating for five, while the R1S will be able to seat seven thanks to third-row seats. Both vehicles sit on flat, skateboard-style platforms with the battery in the floor and an electric motor or two at each axle. Such a platform design means plenty of storage opportunities. In the case of the R1T, there's a front trunk plus a tunnel between the cabin and bed—a perfect spot to store some tools. 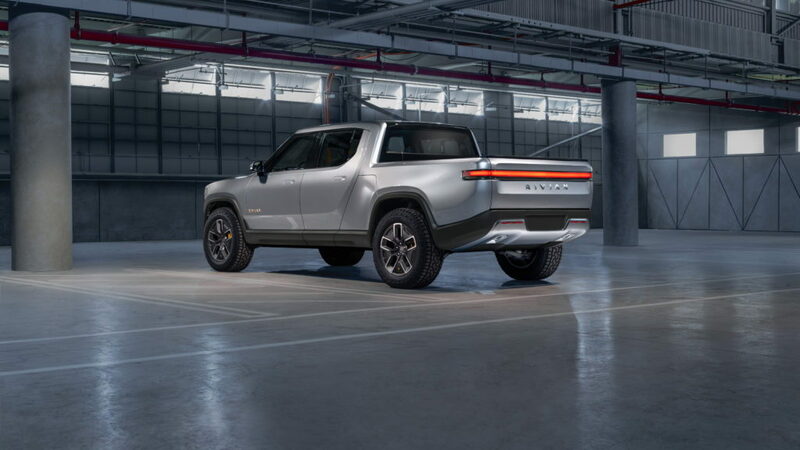 Rivian was founded in 2009 by RJ Scaringe, a graduate of MIT’s Sloan Automotive Laboratory, with the company name derived from the Indian River estuary that ran through Scaringe’s childhood backyard in Florida. The company also boasts former McLaren engineer Mark Vinnels as its head engineer. Pre-orders for the R1T are already being accepted with a required $1,000 deposit. Rivian is aiming for an impressive starting price of $69,000 ($61,500 after the federal tax credit), and it previously pointed to a price of about $90,000 for the range-topping model. 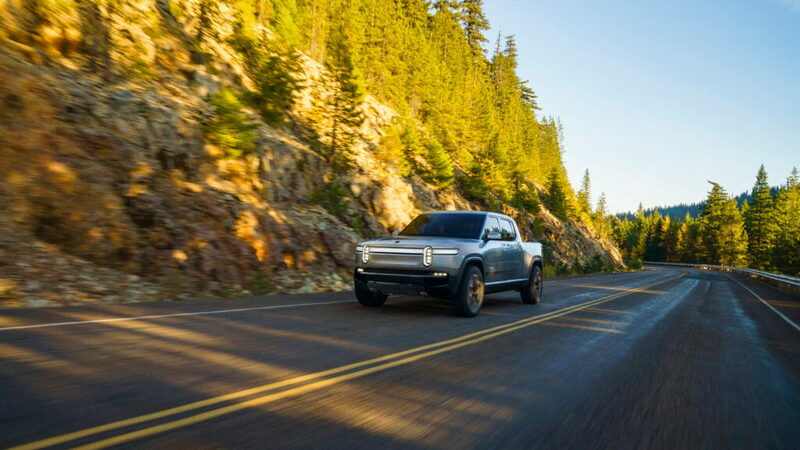 If all goes to plan, Rivian hopes to start delivery of the R1T and R1S in 2020. 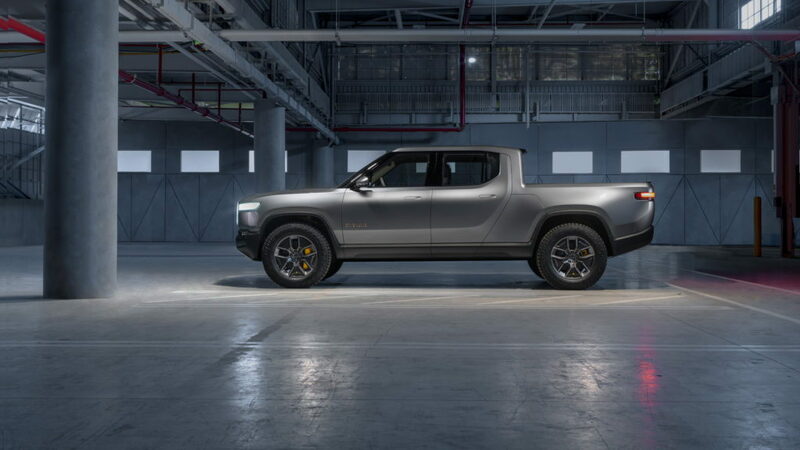 By then, Tesla could also be selling its own electric pickup. The L.A. auto show starts November 28. To learn about some of the other vehicles set to appear, head to our dedicated hub.